We've been swept up in Slack-mania with the rest of 'em. 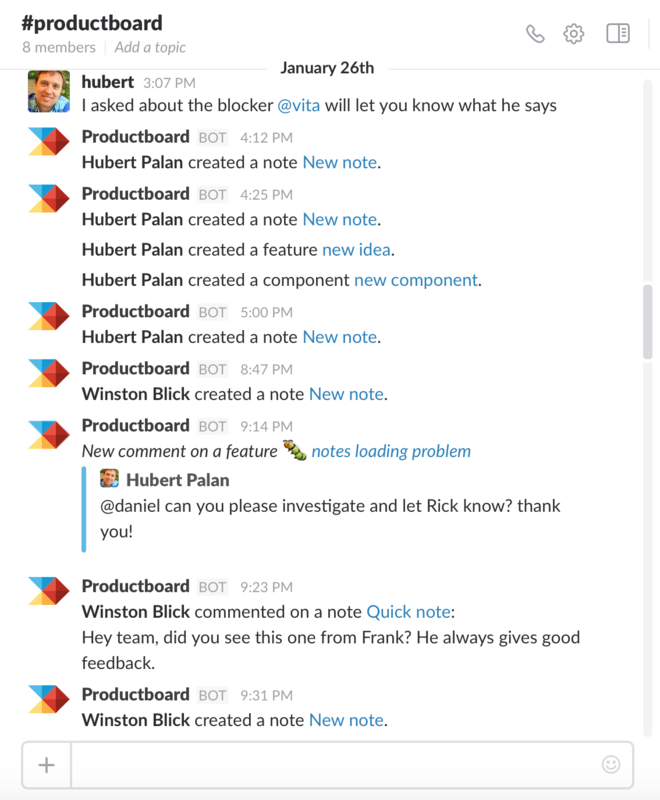 And as Slack users, we wanted a way to review productboard project updates in a Slack channel of our choice. All project updates are chronologically ordered, grouped by date. Updates are searchable in Slack and contain links to associated productboard features/notes. Setup is easy. Just make sure you are an admin in both Slack and productboard. Then follow the steps below to get started. 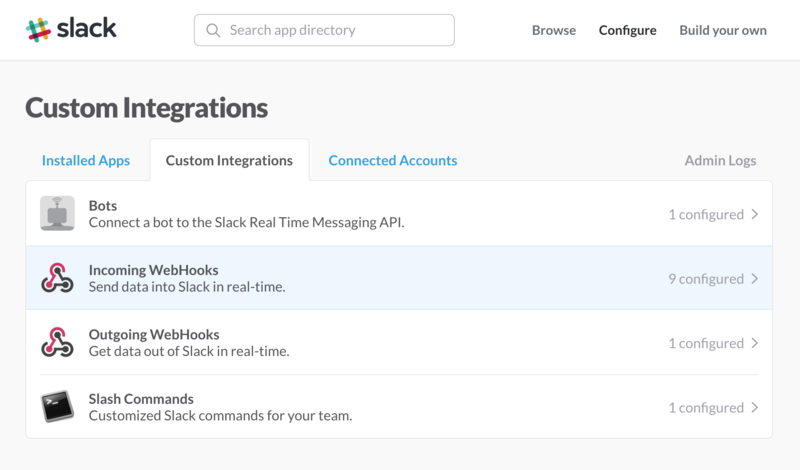 Install Slack's Incoming WebHooks app. Choose a channel to which productboard notifications will be posted. Click Add incoming WebHooks integration. Copy the 'WebHooks URL' into your clipboard. In the upper right, click on your Profile icon and select Integrations. Click Add new Slack integration. Paste your Slack webhook URL into the first field. All updates will be now posted into Slack for everyone to see. Long live transparency! Now go slack off for a few minutes. You've earned it.